EXPECT JAW DROPPING YIELDS AND KNOCKOUT THC FROM BOMB SEEDS! THC Bomb Feminised Cannabis Seeds is Bomb Seeds signature strain . 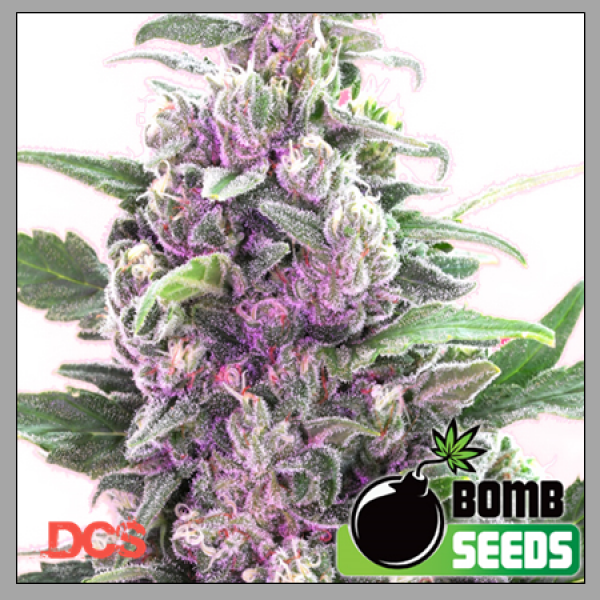 THC Bomb Feminised Cannabis Seeds is well known worldwide for its huge dense buds and crazy high THC levels. Like Big Bomb the harvest is massive coupled with power and strength from its white mother. The weed plant grows with extreme vigour and strength while staying relatively short and finishing very fast for such a large yielder. Outdoors THC Bomb Feminised Cannabis Seeds can produce well over 1kg per plant. At full maturity THC Bomb Feminised Cannabis Seed is completely covered in frosty crystals and by completely covered we really do mean that. THC Bomb Feminised Cannabis Seeds was developed to be something special delivering on every level: yield, strength, taste and speed! Buy your THC Bomb Feminised Cannabis Seeds directly from Discount Cannabis Seeds Today!